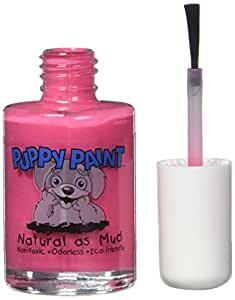 Puppy Paint is a non-toxic, odorless nail polish made especially for dogs. 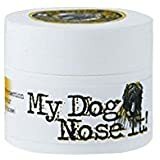 Its hypoallergenic formula is naturally bitter to prevent licking of the polish. It dries fast to a hard, durable finish, and has great coverage, even over dark nails. Say good-bye to harsh, smelly chemicals and hello to Puppy Paint, it's as Natural as Mud. I have never dressed a dog up in my life barring the occasional pair of antlers during the holiday season until I acquired my little pit bull mix. Winters are cold in my area and her hair is so very short that I had to resort to buying her a collection of coats and sweaters to keep her warm. Because people tend to be leery of pit bulls, even when they're as gregarious as mine, I went full on girly girl, dressing her in frilly, bright pink outfits with flowers on her collar and it has helped tremendously in getting folks past their initial reticence. No outfit, however, is complete without the finishing touches like nail polish to coordinate with one's ensemble. This polish goes on smoothly and dries fairly fast. It's not as durable as I would like but that's the tradeoff to it being non toxic. Best of all, my girl doesn't seem to mind being pampered and she adores the attention she receives from getting all gussied up. I'm one of those people who hates seeing cats and dogs dressed up. However, we got a Beagle and wanted to include her in our Christmas card (a few months ago) so we dressed her in a santa suit and painted her nails. Yeah, that won't happen again...until next year. Anyway, if you're the type who likes dressing up your animal/pet this product works...and it works well. The only problem we had was getting the dog to cooperate. There were a few mess ups on the fur but if you wipe it right away when it's still wet it'll come off...if it dries, you're screwed. Once it's dried, it looks cute. Solid and smooth. The dog can't chew if off...ours tried and failed. It wears off within about 5-7 days. No need to try and get it off yourself. 3.0 out of 5 starsDoes not look good on black pet nails! This is a beautiful color but my puppy has black nails and this just does not cover the black very well. I tried to put several coats on but that just made it worse. I do not recommend this on black nails. 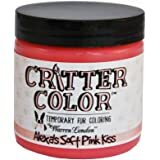 Gave this to a friend who put the polish on her puppy with white nails and she loves it. Good product but not for darker colored nails. Dog didn’t like it at all. It got here incredibly fast. 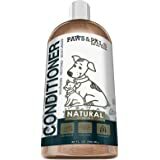 Takes many coats to show up well on the dog's nails, and is slow to dry. Pretty color though. looks adorable, and covers up my black labs dark claws, dries quick (best to do it while the dog is sleeping!!). Also it lasts a long time, so depending on your opinion that can be a pro or a con. week 15 for my dog : one 1/2 cm x 1/2 cm dot still remains!